Google’s search algorithms are complicated; they juggle a number of different factors, or ranking signals, to determine a website’s placement. Some of these ranking signals are what are known as on-site factors—that is, things you can do on your website to make it more SEO-friendly, such as including keywords, ensuring responsive design, and writing good meta data. But other factors are strictly off-site, which means they pertain to things that happen elsewhere on the Web. These ranking signals shouldn’t be ignored, and in this post, we’ll highlight five that are especially important for your used car dealership. Google wants to know that your dealership is providing a meaningful service to buyers—and one way they can ascertain that is by considering online reviews. Google reviews, Facebook reviews, Yelp reviews, and directory reviews are all relevant. Make sure your dealership is actively seeking as many positive reviews as possible; it never hurts to simply ask satisfied buyers for their feedback. The algorithms are also designed to reward brands that generate a lot of buzz—that is to say, a lot of mentions on social media. There are a number of metrics worth looking at here, including follower numbers, post engagement, etc. Maintaining an active presence on Facebook, Instagram, and Twitter can definitely be an SEO asset. Mentions in online directories are also helpful. 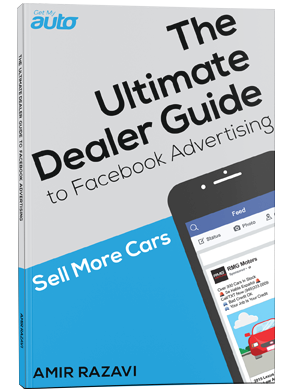 Some potential options might include your local Chamber of Commerce site, industry-specific directories, dealer associations, etc. Often, you can get listed in these directories at basically no charge—all you have to do is ask! (And if you have to pay a nominal fee, it’s usually worth it.) Just make sure your listing includes your full NAP information—that is, dealership name, address, and phone number. More broadly, getting a backlink from any relevant website is helpful, because it shows Google’s algorithms that other people are finding value in your content. The important thing is to focus on earning links rather than buying them. Bought links generally won’t help, and may even hurt you in the rankings. Finally, it’s imperative to have a Google My Business listing—a simple, effective, and completely free way to get a little extra bump in the algorithms, especially in local searches. If you haven’t already created your account, take a little time to do so today. Just make sure you completely and accurately fill in as many fields as possible. These steps can all provide you with Google ranking improvements—but of course, these are just five steps among many. 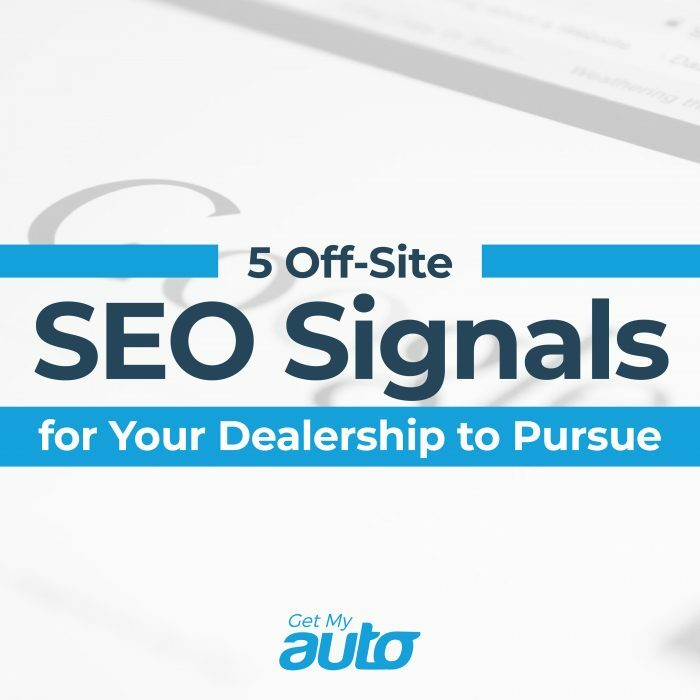 For a more robust approach to SEO, we recommend working with a dealership marketing company, like Get My Auto. Contact us today and ask us more about the ways in which we can help you grow your dealership, including website design, Craigslist, Facebook Ads, and more. Connect with Get My Auto today!